NEW YORK, Oct. 30, 1938 (UP) -- Residents of New Jersey fled their homes tonight, squad cars and ambulances roared through Newark and newspaper and press association offices throughout the country were besieged with telephone calls demanding to know about "a meteor which fell in New Jersey." The uproar resulted from a radio dramatization of H.G. Wells' novel, "The War of the Worlds," in which the arrival of men from Mars upon earth at first is believed to be a meteor shower. In the radio rendition the report of a meteor falling near Trenton, N.J., was made so realistic that persons who tuned in after the introductory remarks had been made believed the statement to be fact. The War of the Worlds is an episode of the American radio drama anthology series The Mercury Theatre on the Air. It was performed as a Halloween episode of the series on Sunday, October 30, 1938, and aired over the Columbia Broadcasting System radio network. 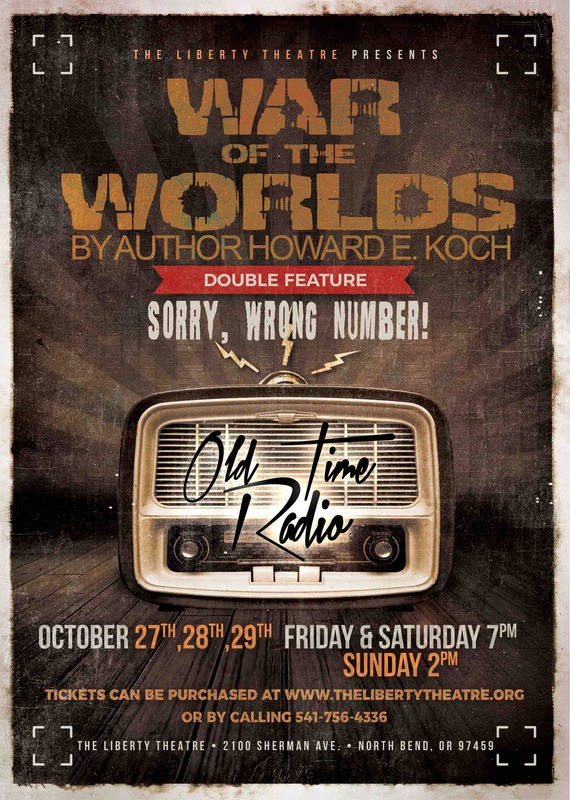 This October 27th, 28th, and 29th the Ear Theatre Players will perform this classic old time radio show for the citizens of the Oregon Coast. With family friendly scary skits and songs and old time radio commercials from some of the local businesses in the area this play will once again thrill and amaze.